Given its importance to our economy and society, there is surprisingly little discussion of the pros and cons of immigration. The one exception, of course, is boat people. For the number of people involved, or even likely to be involved, we were, until the flow stopped, obsessed by the threat of people arriving on our shores uninvited. One reason we don’t talk much about the bigger picture is that it is difficult to do so without being accused of racism. And so many interests are in favour of high, or at least relatively unconstrained, immigration. Recent arrivals understandably want to be able to bring their extended families to Australia. Businesses appreciate being able to bring in labour when they want to. Property developers, real-estate agencies and construction firms benefit from the boost to building associated with population growth. Many thousands of investors with money in houses and apartments are looking for capital gains. Universities and vocational education institutions have an ever-growing appetite for international students. But population growth, which needs to be sustained by immigration, brings problems, too. Public decision-making and public investment struggle to keep up. School enrolments are much higher than they would otherwise be, and many of the new kids don’t speak English. Well-developed cities find it difficult to plug in many thousands of extra people, without disrupting existing communities. There is not much advance transport planning. Indeed, Sydney is still struggling to build the infrastructure it should have provided decades ago for its north-west suburbs. Property developers have prospered without contributing much to urban design. In many ways, today’s situation is reminiscent of the 1950s and 1960s, when new developments chewed up bushland around Sydney, Melbourne and Brisbane. Things were done in a rush, and it showed. While there were some high points, the architecture of the period was undistinguished. Homes were at least affordable but their design was often uninspired. In those days, people did not like terrace housing and many old neighbourhoods were demolished. The blocks of flats that sprang up in their place might have been comfortable on the inside, but there were few concessions to aesthetics and the landscaping was usually non-existent. With over a decade of very high net overseas immigration, we are seeing much the same pattern now, in all the major east coast cities, as well as in Canberra. Houses are built on much smaller blocks, and the houses are bigger than those of 50 years ago. There is not much variety. The same project designs are repeated, over and over. Flats are now called apartments, and the buildings are a lot taller than those built in the 1960s, but I don’t think there are many whose architects would be proud to have their names displayed prominently on the outside. There is one important difference from the last big boom. It is much more difficult for young people to get into the housing market now. Most of the proffered solutions will exacerbate the problem. 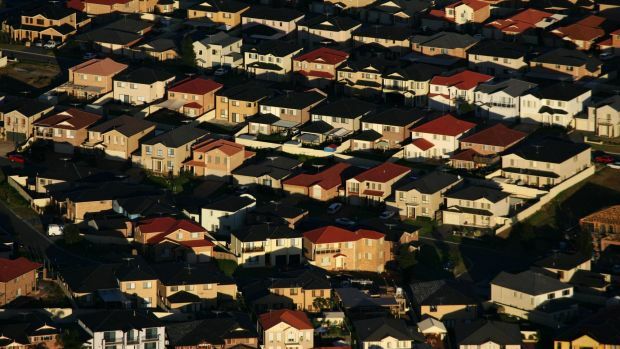 Aid to first-home buyers simply raises prices. Releasing what was once public land for housing reduces opportunities for added recreational space. Watering down planning mechanisms and going easy on building regulations piles up problems for the future. Restricting negative gearing might help a bit, but would probably lead to less supply in rental markets. Decentralisation seems to be permanently off the agenda, except for opportunistic grabs by politicians wanting to shore up support in their electorates. The key question remains unasked. Why do we need to bring in so many people? Apart from those who come for humanitarian reasons, the general reason seems to be: we are short of skilled people. But why? Economic growth is part of the answer. But we tend to overlook the extent to which our immigration policies have become a substitute for sustainable labour market and education and training policies. All policies are complex systems, and none is “set and forget”. Australia tries to control and channel its new people through a visa system that has a category for (almost) every imaginable circumstance. For those accepted as permanent residents, there are about 70,000 spots for skilled migrants and 40,000 for family reunion. But there are potentially many more for those who want to come temporarily. Most of these “temporary” categories are uncapped, which means the only limits are those imposed by demand, and by the Immigration Department’s capacity to process applications. Even if all temporary migrants go home, there are still considerable effects. As the economy picks up speed, there is no time to train new people, and employers like to be able to import workers by making use of 457 visas. Over time, however, market signals should start to work, so that sufficient people should be available who have trained in the jobs and professions where the demand is. On the other hand, if employers are reluctant to offer training, and wages are being depressed by the ability freely to import people, these signals may be suppressed. Young people go off and study international relations or photography, rather than plumbing, nursing or aged care. International students represent another challenge to our policy thinking. Undoubtedly, the money they pay for their tuition and to live in Australia constitutes a significant export industry. Indeed, the universities depend on them financially. But there are negative implications, too. As each cohort completes, the universities and vocational educators need fresh batches of students, year in and year out. To keep them coming, they need to offer a bit more than just the degree: the hope, or at least the chance, to become a permanent resident. Decentralisation seems to be permanently off the agenda, except for opportunistic grabs by politicians wanting to shore up support in their electorates. As potential migrants, the newcomers have a lot to offer. But there is also plenty of potential, directly and indirectly, for gaming the system. For a period, there was what amounted to an open channel between students in the vocational sector and permanent residency, through entry to the general skilled migration system. As a result, net overseas migration numbers skyrocketed between 2007 and 2009 until the loophole was closed. Bureaucracies are driven by the mandate they are given. But complex adaptive systems keep on evolving. If you give people incentives, they will follow them up. Open labour markets and high population growth are not to everyone’s advantage. The implications for our education and training systems, and for housing markets, need to be much more carefully – and openly – thought through.